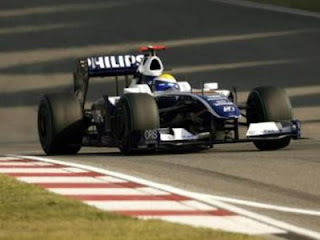 Williams technical director, Sam Michael, says the Grove based team are now focused on their 2011 car, with the last update for the current season already in the wind-tunnel for testing purposes. They join the majority of the grid in switiching their full focus to 2011, leaving just a handful of teams still developing their current cars, mainly the title challengers: Red Bull, McLaren and Ferrari. "In terms of the design priority though, from an aero point of view we are focused on next year now. "It is a completely different car - it will be a clean sheet for everybody." The major changes for next season will see a switch to Pirelli tyres, the banning of double-diffuers and F-ducts whilst the energy boosting technology dumped after 2009, KERS, will return, something the Williams team are looking to incorporate, although they are yet to decide on which system to run, flywheel or battery. "We've got both options, but to be honest our priority will be a battery system. We do have capability to run a flywheel as well." It's an excellent oportunity to develop lighter and more efficient batteries, wich perform its function, together with those modern capacitors.